Luma is a cobblestone druid, a canny fighter and spellcaster who can read the chaos of Magnimar's city streets like a scholar reads books. Together, she and her siblings in the powerful Derexhi family form one of the most infamous and effective mercenary companies in the city, solving problems for the city's wealthy elite. Yet despite being the oldest child, Luma gets little respect - perhaps due to her half-elven heritage. When a job gone wrong lands Luma in the fearsome prison called the Hells, it's only the start of Luma's problems. For a new web of bloody power politics is growing in Magnimar, and it may be that those Luma trusts most have become her deadliest enemies! Enriches the lore or an established world. fun characters, unexpected turns, and satisfying to listen to. great job. 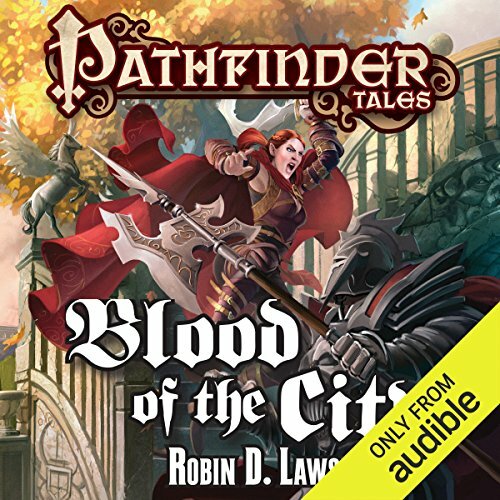 I enjoyed the book but it took about 12 chapters for it to get on the level of other pathfinder books I have listened to. There is a lot of character build up before the story really goes anywhere. it's overall good but it's a long wait.